Pernaton gel is a multi-functional and natural product which has had significant success in benefiting a number of joint and muscle related problems. 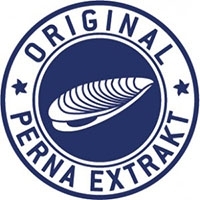 Perna extract is a natural source of unique, nourishing and regenerative substances that comes from the New Zealand Green Lipped Muscle. Thanks to its high content of Glycosaminoglycans (GAG), which are important for your joints cartilage, it supplies the body with essential nutrients that give vital support, among other things, to joint function. In addition, original Perna extract has a functional Glycogen complex, long-chain omega-3 fatty acids, 11 different minerals and 18 vital amino acids. Research has shown it has a greater range of beneficial effects than both Glucosamine Sulphate or Chondroitin Sulphate which are both proven to aid joint health. The glycosaminoglycans in Perna extract have been scientifically studied. Studies show that the elasticity and firmness of the skin is significantly improved and that the skin feels softer, smoother and silkier. As Pernaton gel is formulated to aid connective tissue and joint care, it is also beneficial to sportsmen and sportswomen when used before and after exercise. Simply rub the gel into the skin and instantly feel the cooling sensation and feeling of wellbeing that result and then experience a warming sensation that comes with intense increased in circulation that follows. The oil free gel is easily absorbed into the skin and leaves a lovely fresh smell.